Obituary for Benjamin I. March, Jr. | DellaVecchia, Reilly, Smith & Boyd Funeral Home, Inc.
Benjamin I. 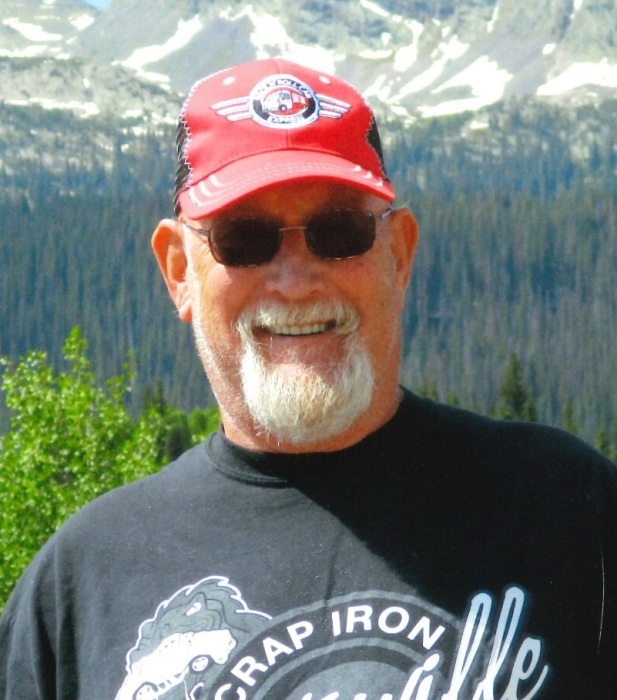 March, Jr. 66 of West Chester, Pa passed away peacefully on Sunday, January 13, 2019 at Neighborhood Hospice in West Chester with his beloved wife and best friend Barbara by his side. Ben was born in Phoenixville, PA on February 25,1952 and was the adopted son of the late Margaret Wells and Benjamin March Sr.
Ben is survived by his loving wife of 34 years, Barbara Morrow March, his children, Jonathon David March (Jennifer), Christopher Garr March, Rachel March Landsness (Michael), Noah Benjamin March and Meghan Christine March. He leaves behind his beloved grandchildren, Corey, Josh, Tyler, Connor, Aaron, and Emily, two great-grandchildren and brothers and sister, Dave, Tom, Mark and Barbara Kapustynski. He was predeceased by a son, Matthew Russell March. Ben was a 1970 graduate of Spring-Ford High School and Vocational Technical School with a degree in Horticulture. Ben earned the honor of Eagle Scout with Troup 230 and then held the role of scout master for many years for Troop 157 with the Chester County Council from Spring City. From a young age he held a variety of jobs including Waltz’s Turf Farm, Van Man, Whetty’s Plastics, and Phoenix Steel. He finally found his true career and served in a variety of positions from mechanic to Service manager at Stoltzfus RVs for twenty years. Ben went on to pursue his dream of owning and operating his own business, RV Services, Inc. for several years. After the death of his son, Ben became an active volunteer for the Gift of Life Transplant program. He traveled to local schools and organization to speak to students and adults about organ donation. During this time, he was given several awards for his volunteer work. Ben was a member of the West Chester United Methodist Church and spent time working with the youth as a high school youth leader. Ben enjoyed spending time with friends and family at the Grandview speedway taking in races. He also enjoyed spending time tinkering in his workshop, working in his garden during spring and summer and spending time with his friends and family. Family and Friends are invited to attend a celebration of his life on Saturday, January 19, 2019 at the United Methodist Church of West Chester, 129 S. High Street, West Chester, Pa 19380. Visitation will be from 9:30-10:30am followed by his service at 10:30am. All are welcome to attend and should feel free to come dressed in casual attire per Ben’s instructions.